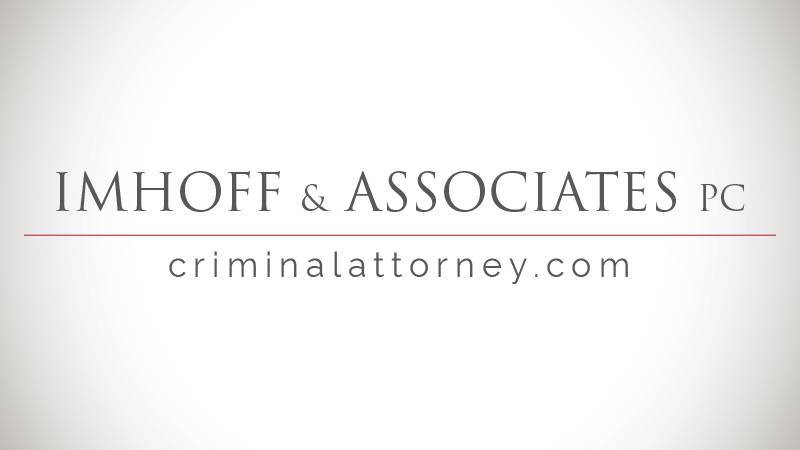 At Imhoff & Associates, PC, we provide the highest quality representation for individuals who have been accused of committing criminal offenses. We understand that people who come to us are going through some of the most stressful times in their lives, and we want these individuals to know they do not have to work through these matters alone. Our nationwide criminal defense attorneys are prepared to provide creative, hard-hitting defenses for clients across the nation, no matter what the case may entail, how complicated matters may seem, or what crimes the accused are charged with. We have a powerful and highly experienced team of attorneys from different legal backgrounds in your area and we bring the determination to win, a great deal of resources, and extensive knowledge to every case we handle. Let us put our extensive experience and successful track record of defending thousands of clients to work defending you! As the Managing Director of Imhoff & Associates, PC, Vincent Imhoff believes in the importance of providing strong criminal defense for the criminally accused. Day in and day out, he demonstrates a true passion for protecting the rights and futures of the individuals our firm represents. Equipped with a large team of attorneys, our firm takes on a variety of criminal defense cases from all over the nation. We believe in putting forth all our efforts and utilizing every resource to help our clients reach the most favorable outcomes possible for their cases. Select a video to play from the video boxes below or click the view our videos button below to visit our video page. We have plenty of informative videos that can help you with your criminal case. California: California Drug Case Deferred Entry of Judgment! California: Grand Theft, Burglary, Embezzlement House Arrest! California: Our client was on probation for commercial burglary from 2013. Informal Probation! Oregon: Client facing four criminal counts, which included firearm possession. Three Charges Dismissed! If you have been accused of committing a criminal offense, it is essential that you reach out to our firm as soon as possible. The sooner you begin working with us, the sooner we can begin examining every detail surrounding your case, gathering all the evidence, and building the strongest defense possible. Because we have experienced lawyers throughout the nation, we are knowledgeable of every state’s criminal laws, and we know how all of these states’ criminal proceedings are carried out. Individuals who turn to our firm for defense are met with respect, honesty, and diligence throughout the entirety of their case. No two cases are alike, and we ensure every client is provided with the customized defense needed to meet their unique needs. We believe in doing everything we can to put our client's minds at ease, which is why we also implement one-time, flat-fees. This means you do not have to worry about how long you are on the phone with us or how many times you meet with us; you will never be charged any hidden expenses. No matter what your case entails, you will work with the right attorney for your case; someone who is from your area, is well-versed in that particular area of law, and knows how to customize the best possible defense for your specific case.